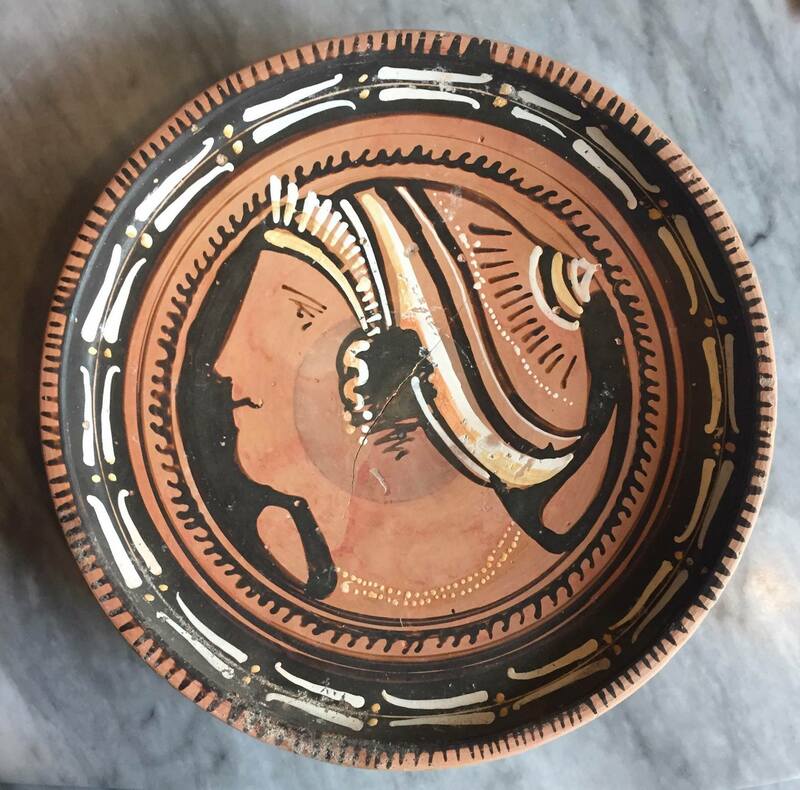 Greek Ancient Apulian Plate, 330 / 320 B.C. Striking red-figure Apulian plate adorned with an exquisitely painted profile head of a “Lady of Fashion”, her hair dressed in an intricate kekryphalos, donning a diadem traditionally referred to as a radiate stephane and a double strand pearl necklace and earrings. Condition: Crack in centre of plate does not distract from appearance.